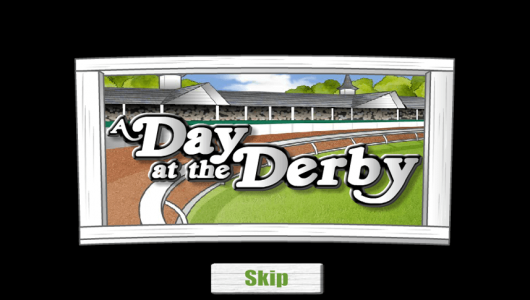 A fun online slot from 2010 with some nice, rare additions to the free spins bonus feature. 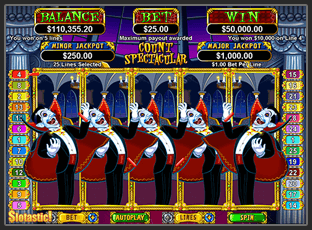 The Count Spectacular slot is a classic slot game created in 2010, just in time for Halloween. 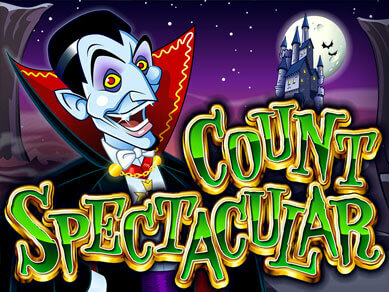 Despite now being a few years old, Count Spectacular remains a favorite for many slots players. Developed by Real Time Gaming (RTG), Count Spectacular is a 5-reel online slot with 25 paylines. Coin sizes range from 0.01 to 5 and the maximum bet per spin is 25 coins, meaning bets can be anywhere from 25c to $100 per spin. The jackpot on Count Spectacular is 10,000 coins, which, with a maximum stake, will net you a tidy $50,000! If dark and Gothic isn’t your thing, don’t worry. This slot has a more fun, cartoon feel and look to it rather than evil or spooky, making it playable to anyone. Think ‘Scooby Doo’ rather than ‘The Exorcist’! Colors are bright and graphics, despite being slightly dated, are fun and enjoyable. The Count symbol acts as the ‘Wild’ symbol and also expands over the entire reel. There is a count symbol on every reel, making big wins possible, as shown in the image below. As well as The Count symbol, the reels consist of a frightened Blonde, a Wolf, a Bat, a Stage Coach, a Casket, a Goblin, a Secret Potion, a Mirror, a Lantern and a string of Garlic. There is also the Castle which acts as the scatter symbol. Scatter wins multiply your total bet from anywhere from x2 to x200 depending on if you have three, four or five symbols in view. As with other RTG slots, Count Spectacular offers two randomly activated progressive jackpots. The first ‘minor’ progressive jackpot starts at $250 and the main starts at $1,000. These progressive jackpots can be hit at any point and there is no minimum stake or sequence required to trigger them. 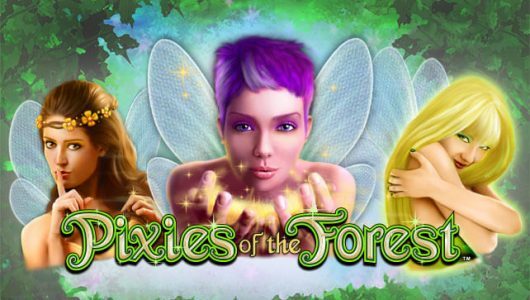 The Free Spins feature works slightly different from most other slot games. 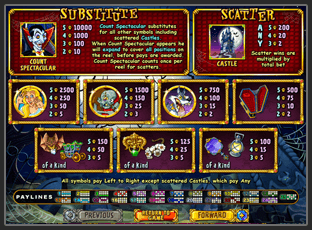 Instead of ‘the usual’ 3-symbols in view, free spins are triggered by landing a Count symbol on just reels one and five on the same spin. When you activate this free spin bonus round you will be given the choice of two options. The first being to take 12 Free Spins with all wins tripled and the second is to take 4 Free Spins with all the symbols on reels one and five as Wilds. It’s a personal preference which option you should take. Obviously with options two, you have a much better chance of hitting a big win but you also get less spins to do so. Nevertheless, we found this to be a very nice addition to the free spins feature which adds a bit more choice and excitement. Despite being quite an aged online slot, Count Spectacular holds up against newer slots with some nice features such as the 2 randomly activated progressive jackpots and the two choices in the free spins bonus round. We enjoyed the fun aspect of the Halloween theme and the graphics on the expanding ‘Count symbol’. Overall, not a bad choice at all. Especially if it’s Halloween!